On February 6, 2018, Houston-based biotechnology company, Celltex Therapeutics Corporation, and Texas A&M University Health Science Center College of Medicine Institute for Regenerative Medicine announced an intellectual property license acquisition and research agreement. The announcement signals the first year of a multi-year research study investigating potential therapies for Alzheimer’s disease using autologous mesenchymal stem cell (MSC)-derived exosomes. Celltex, a pioneer in autologous stem cell technology, is known for its proprietary stem cell process, which yields adult MSCs in quantities never before possible for use in therapy for vascular, autoimmune, and degenerative diseases, as well as injuries. Celltex’s acquisition of the exclusive license adds to its portfolio of cellular and exosomes intellectual property. As part of the research agreement, Darwin J. Prockop, MD, PhD, the Stearman Chair in Genomic Medicine, Director of the Texas A&M Institute for Regenerative Medicine, and Professor at the Texas A&M College of Medicine, and his lab will prepare adult MSCs and use them to derive anti-inflammatory exosomes, which are tiny vesicles that can deliver anti-inflammatory agents to the brain. Ashok K. Shetty, PhD, a Professor at the Department of Molecular and Cellular Medicine at the Texas A&M College of Medicine, Associate Director of the Institute for Regenerative Medicine and Research Career Scientist at the Olin E. Teague Veterans’ Medical Center, and his team will test the efficiency of these exosomes to reduce brain inflammation and assist in repair of neuronal damage related to Alzheimer’s disease. Will there come a time when a patient with arthritis can forgo joint replacement surgery in favor of a shot? Keck School of Medicine of USC scientist Denis Evseenko, MD, PhD, has reason to be optimistic. In an article published online on February 7, 2018 in the Annals of Rheumatic Diseases, Dr. Evseenko's team describes the promise of a new molecule named "Regulator of Cartilage Growth and Differentiation," or RCGD 423 for short. The article is titled “Drug-Induced Modulation of Gp130 Signaling Prevents Articular Cartilage Degeneration and Promotes Repair.” The RCGD 423 molecule was identified in high-throughput screening of 170,000 small molecule compounds. As its name implies, RCGD 423 enhances regeneration while curbing inflammation. 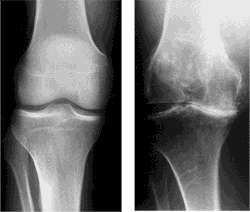 When RCGD 423 was applied to joint cartilage cells in the laboratory, the cells proliferated more and died less, and when injected into the knees of rats with damaged cartilage, the animals could more effectively heal their injuries. RCGD 423 exerts its effects by communicating with a specific molecule in the body. This molecule, called the glycoprotein 130 (Gp130) receptor, receives two very different types of signals: those that promote cartilage development in the embryo, and those that trigger chronic inflammation in the adult. RCGD 423 amplifies the Gp130 receptor's ability to receive the developmental signals that can stimulate cartilage regeneration, while blocking the inflammatory signals that can lead to cartilage degeneration over the long term. Given these auspicious early results, the team is already laying the groundwork for a clinical trial to test RCGD 423 or a similar molecule as a treatment for osteoarthritis or juvenile arthritis. Scientists at the University of Delaware (UD) and the University of Illinois at Chicago (UIC) have found a new way to kill liver cancer cells and inhibit tumor growth. First, they silence a key cellular enzyme, and then they add a powerful drug. They describe their methods in an open-access article published online on January 31, 2018 in Nature Communications. 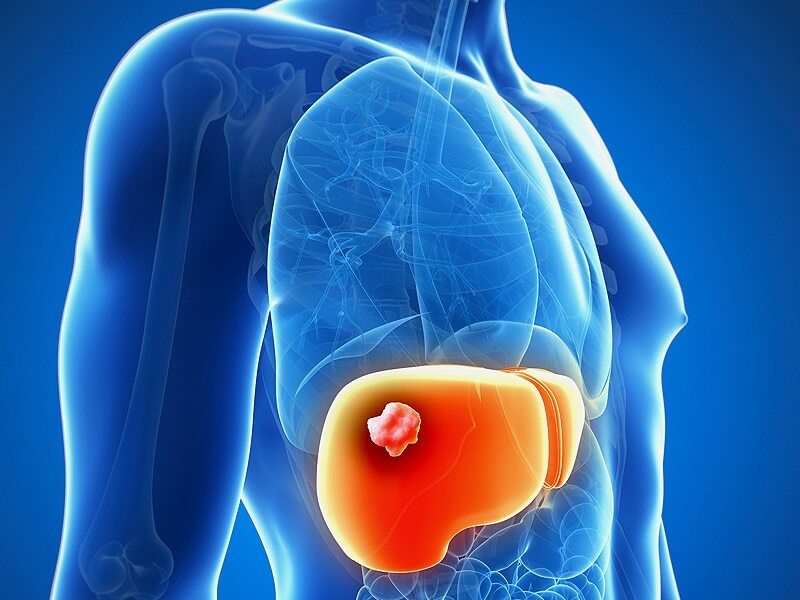 The article is titled “Hexokinase-2 Depletion Inhibits Glycolysis and Induces Oxidative Phosphorylation in Hepatocellular Carcinoma and Sensitizes to Metformin.” This research could accelerate the development of new treatments for liver cancer, which is currently difficult to cure. Often surgery is not an option for liver cancer, and the available drugs are only modestly effective. More than 82 percent of liver cancer patients die within five years of diagnosis, according to the National Institutes of Health. This project originated in labs at the UIC, where researchers grew liver cancer cells and manipulated their expression of an enzyme called hexokinase-2. Then, the cells were treated with metformin, a diabetes drug that decreases glucose production in the liver. 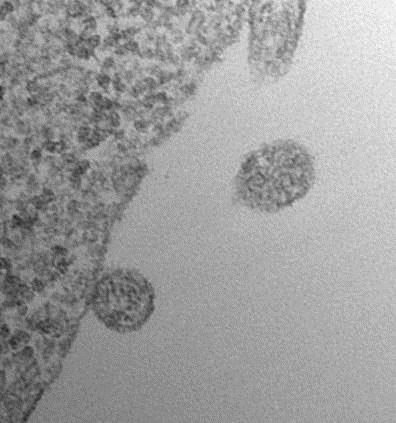 The research group of Maciek R. Antoniewicz, PhD, Centennial Professor of Chemical and Biomolecular Engineering at the University of Delaware (UD), designed a set of experiments to measure how cancer cells respond to the loss of hexokinase-2, an enzyme that helps cells metabolize glucose, their food source. Dr. Antoniewicz is an expert in metabolic flux analysis, a technique for studying metabolism in biological systems. His research group is one of only a few in the world with expertise in a technique called 13C metabolic flux analysis of cancer cells, and he recently published a paper in Experimental & Molecular Medicine describing his methods. While most people are familiar with Venus flytraps and their snapping jaws, there is still much that scientists don't know about the biology of these carnivorous plants. Researchers have for the first time discovered which insects pollinate the rare plants in their native habitat - and discovered that the flytraps don't eat these pollinator species. Venus flytraps (Dionaea muscipula) are in a genus all their own, and are native to a relatively small area, restricted to within a 100-mile radius of Wilmington, North Carolina. "These findings answer basic questions about the ecology of Venus flytraps, which is important for understanding how to preserve a plant that is native to such a small, threatened ecosystem," says Elsa Youngsteadt, a research associate at North Carolina State University and lead author of a paper on the work. "It also illustrates the fascinating suite of traits that help this plant interact with insects as both pollinators and prey." 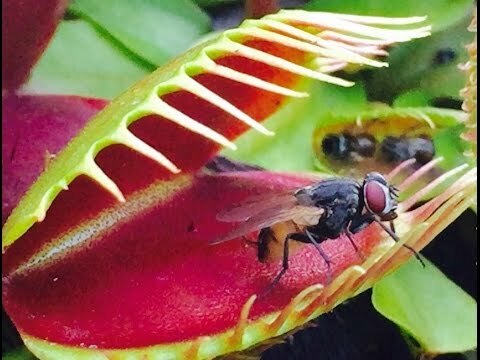 The paper, "Venus Flytrap Rarely Traps Its Pollinators," was published online on February 5, 2018 in the journal American Naturalist. "Everybody's heard of Venus flytraps, but nobody knew what pollinated them - so we decided to find out," says Clyde Sorenson, PhD, co-author of the paper describing the work and Alumni Distinguished Undergraduate Professor of Entomology at NC State. To that end, researchers captured insects found on Venus flytrap flowers at several sites during the plant's five-week flowering season. The researchers identified each insect and checked to see if they were carrying Venus flytrap pollen - and, if they were carrying pollen, how much. Glioblastoma multiforme is the most common and aggressive primary brain tumor and has one of the worst survival rates of all cancers. Despite surgery, radiation, and chemotherapy, these tumors virtually always become resistant to therapy and eventually recur. The cancer stem cells within these tumors are thought to be important drivers of resistance and recurrence. Researchers at Dartmouth's Norris Cotton Cancer Center, led by Damian A. Almiron Bonnin, MD-PhD candidate of the Mark Israel laboratory, are devising strategies to target glioma stem cells which could significantly improve patient survival. "The presence of glioma stem cells within high-grade gliomas is one of the reasons they are so difficult to treat," says Almiron Bonnin. "In this study, we have successfully identified a secretion-mediated pathway that is essential for the survival of glioma stem cells within aggressive brain tumors." Multiple studies suggest that these cancer stem cells resist therapy and give rise to recurrences. "To put it simply, if you eliminate most of the tumor with standard treatments, but leave even one cancer stem cell behind, that cell could, in theory, give rise to an entire new tumor," says Almiron Bonnin. "Therefore, making sure these cells are being effectively targeted is an important goal of cancer research." The team is using its understanding of the mechanism by which these cells are maintained within brain tumors to develop new and potentially more effective approaches to treating high-grade brain tumors. The team’s strategy of utilizing drugs that target glioma stem cells may increase the effectiveness of chemotherapy agents in brain tumors and ultimately prolong the survival of patients with this type of tumor.